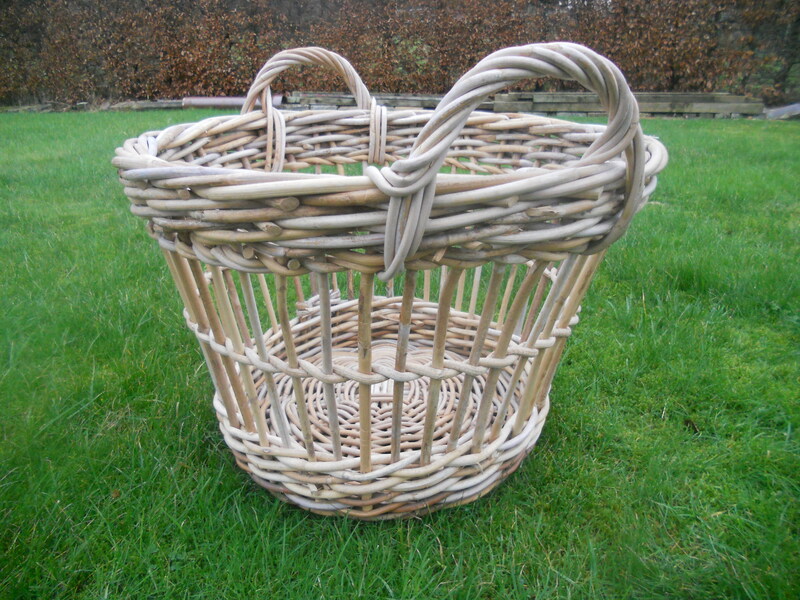 On the Isle of Arran in the 80’s and 90’s Alisdair Davidson along with Henry Mellor had a contract to make Landing Baskets for the docks at Grimsby. They often made up to fifty a month. These baskets were made from cane and were the size of a quarter cran and it is likely that they were made in a the same way as many other ‘cran’ baskets. 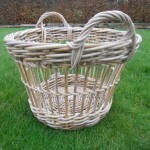 A cran is a measurement of fish and many baskets in the fishing industry were made to quarter cran size. The landing baskets were made to be strong as they were use to lift the fish off the boats and were then dragged across the docks, but even so only lasted a week . 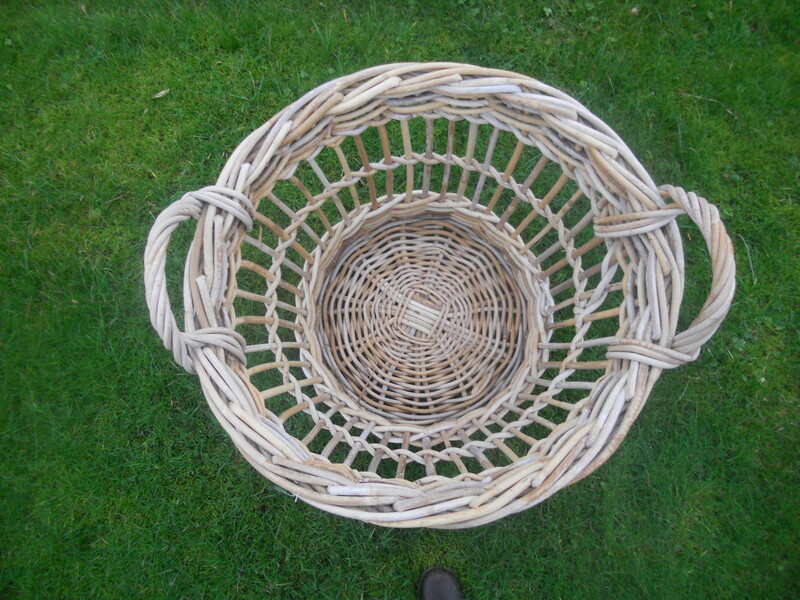 Alisdair described how the basket was made so that ‘the base and the border are all one bit of cane’. Long lengths of cane were used in the base so that, after it has been woven, there would be lengths left sticking out which could become the uprights and then form the top border of the basket. To strengthen the basket two bits of metal also went through the base and up the sides and were bent over and hammered into the border (3). 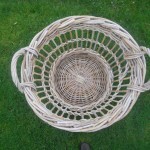 When weaving the sides of the basket it had to be kept hard up against a frame so that the correct size was obtained. 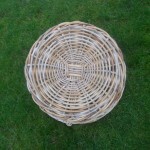 Alisdair and Henry used a metal basket shaped frame to weave around. This had a 12″ base and 22″ top (1). 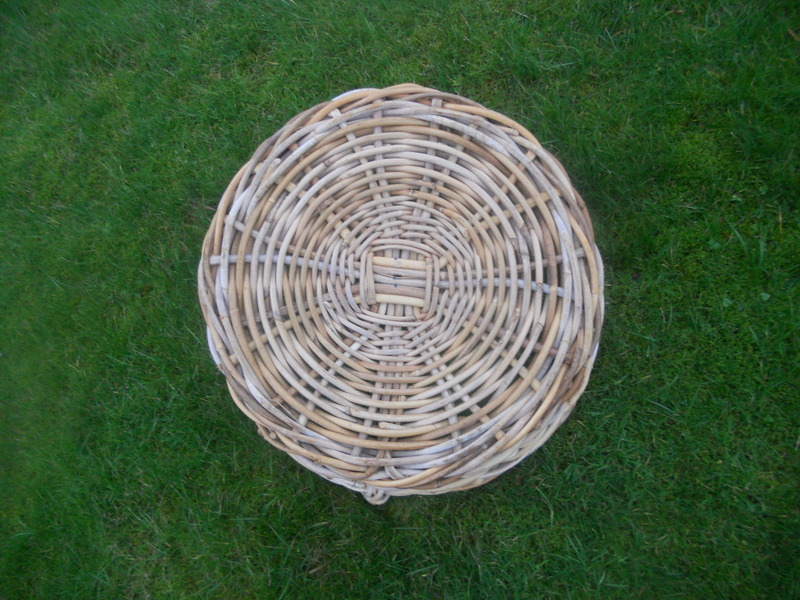 The height of the finished basket was around 16″. If they were more than a couple of inches out they were returned.